There may be money to be made in the courtroom, and not just by the parties facing off. That is the proposition from a New York-based startup that recently came out of stealth mode. LexShares developed a crowdfunding platform for financing commercial lawsuits. The idea is to help plaintiffs with limited resources—but a potentially lucrative case against a larger company—connect with accredited investors to support their legal action. “A well-capitalized defendant is at a distinct advantage over an undercapitalized plaintiff,” says Jay Greenberg, co-founder and CEO of LexShares. If the plaintiffs win, they share the spoils with their backers. However, if their side loses, the investors forfeit the money they put down. It might sound like a gamble, but Greenberg, says it is a new spin on the existing litigation financing market. “There are hedge funds and large institutions investing in legal claims,” he says. They include Britain’s Burford Capital and Juridica Investments, and Australia’s Bentham IMF. In the mid-2000s, Greenberg says, litigation financing began to catch on for commercial cases in the United States. The institutional investors, he says, look for cases with funding requirements of at least $3 million to $5 million and upwards. LexShares, by comparison, lists cases that need $100,000 to $1 million in financing. “In that segment of the market, it’s very difficult for plaintiffs to access capital,” Greenberg says. Much like other crowdfunding sites, LexShares posts cases online with a description of the litigation and the amount of funding being sought. LexShares only lists commercial cases, typically between businesses, not personal injury or individual cases. The litigation must already be filed, he says, with an attorney on the job before it can be eligible. The cases are vetted by LexShares staff of legal and securities professionals, Greenberg says. The set of criteria includes the track record of the plaintiff’s attorneys, the legal merits of the case, and the defendant’s perceived ability to pay the plaintiff. Greenberg says the potential backers who want to use LexShares must meet the Federal Trade Commission’s standards for accredited investors. Individuals must make at least $200,000 annually for the prior two years, he says, and be on tract to make at least that much for the current year. For households that want to invest, the minimum rises to $300,000. Those with net worth in excess of $1 million may also qualify. “We also have family offices, hedge funds, and institutions that invest on the platform,” Greenburg says. When an investment is made in a case, a dashboard keeps the backer apprised of the proceedings. That includes drilling down on court documents after they are filed. Greenberg says successful cases might bring investors a 50 percent annualized return on investments, but the terms may vary. Greenberg says an education gap exists on both sides of this market. “[Some] investors didn’t realize they could invest in legal claims,” he says. Plaintiffs and their attorneys likewise might not know such financing options were available for commercial lawsuits. Prior to LexShares, Greenberg was a technology investment banker with Deutsche Bank. 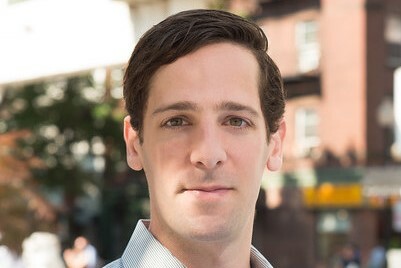 While exploring the litigation finance market, he crossed paths with Max Volsky, an attorney and founder of litigation finance fund LexStone Capital. Together, Greenberg and Volsky co-founded LexShares.